Do you have an idea for a visualisation, testing method or simulation related to basic income? Join the Basic Income Hack! Do you have an idea for a visualisation, testing method or simulation related to basic income? Join the Basic Income Hack. The Basic Income Hack brings together coders, researchers, activists, thinkers, politicians, graphic designers, information designers and communication specialists interested in developing ideas around a universal basic income scheme. Your task is to provide the ideas. Do you have an idea for a visualisation, testing method or simulation related to basic income? To take part in the event, send us your idea. You can apply as an individual or a team. The number of participants is limited. Versatile teams with a good idea have the best chances of being selected. Ideas can be submitted up to 15 February 2016. Finland has plans for a basic income scheme that would dispense with the complexities of the social security system. A group led by Kela, the Social Insurance Institution of Finland, and consisting of representatives of various research institutes is developing a model for a basic income trial in 2017. Now is the right time to bring forward ideas for a basic income system. For this reason, we are organising a two-day developer event, the Basic Income Hack (Perustulohack). What will the Basic Income Hack develop? The Basic Income Hack will develop a range of tools for the basic income debate and in support of the basic income trial. The outcomes could involve various simulations, visualisations and communications material – but the organisers do not intend to limit the projects in any way. A few examples are given below. Basic income model: Show us a functional method for calculating basic income or part thereof. How would the method function if, for example, you ran data from Statistics Finland through the model? Proposal for testing a basic income model: Finland is currently planning a basic income trial under the leadership of Kela. How would a specific way of organising the basic income trial work best? Simulate a testing model or part of one. Arguments for the debate on basic income: What would be the best ways of communicating on the basic income trial? An infograph, bank of arguments, fact sheet or Reddit channel? These already exist. 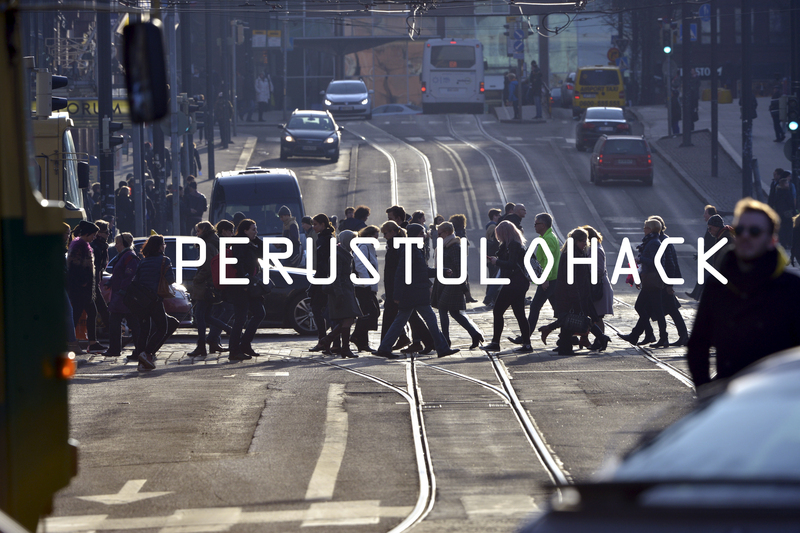 Develop a tool for stimulating the debate in Finland. Creative approaches to basic income: Create basic income games, art, events, or whatever other ideas you may have to encourage people to get involved. The event organisers can provide support for using data from various sources, and experts on databases of various kinds will be present during the process, ready to provide coaching on how to use the data. Our coaches will support the participants in selecting and using the data. In the following, we give a few examples of data, related to income security, which can be used as background information for the work. Anyone can submit an idea and apply for participation in the Basic Income Hack. During the selection process, all ideas and applicants will be displayed via the Trello tool, a platform for commenting on ideas, putting teams together and peer reviewing the proposed teams based on a vote. The ideas and teams for the hack will be selected by the member organisations on the basis of the voting results. The original developers holding the immaterial property rights (IPR) to the results of the event will agree on who holds the rights within each team. Licensing must allow the researchers and civil servants preparing the basic income trial to make use of the material. The team’s contact person will be considered the originator of the idea, unless the team decides otherwise. The team prize will be paid through the contact person. Transport to Vuosaari will depart from the centre of Helsinki at 8.30 a.m. on Friday. Work, meals and accommodation will be arranged in Sofia and joint transportation to the centre of Helsinki will depart from Vuosaari at 5 p.m. on Saturday. The results will be presented and sparred over at a joint event held alongside the Democracy Hackathon on Saturday evening. The outcomes will also be presented to civil servants, researchers and the media in an event to be organised during the following week. Each selected team that presents a set of final results at the end of the hack will receive a prize of EUR 400. In addition, a jury representing the organisations behind the event will award a prize of EUR 1,000 for the best work. The prize will be paid in the form of a grant (without VAT). The participants are responsible for any tax implications associated with the prizes. In its guidelines, the Finnish Tax Administration has ruled that any award for merit in the fields of science, the arts or an activity undertaken for the common good are NOT considered taxable income. This is how to participate in the Basic Income Hack. Use this form now to submit an idea for implementation at the Basic Income Hack event. You can submit your idea as part of a team, or individually. Ideas can be submitted up to 15 February 2016. The ideas will be added to the collaborative work platform Trello, where they will be developed further and teams of 4 to 5 members will be formed. Of the proposed ideas, 8 to 12 will be selected for implementation at the hackathon. Decisions on the ideas and teams to be included in the event will be made by 22 February 2016. On 4 and 5 March, the teams will be hard at work. After the event, the results will be presented to the researchers and civil servants preparing the basic income trial. The Basic Income Hack is being organised by Sitra, Demos Helsinki, Open Knowledge Finland and implemented as part of the Experimental study on a universal basic income, led by Kela.